International tenors Dennis McNeil, Jorge Lopez-Yanez and Jose Medina will perform at 8 pm, on June 30th and July 1st, 2007 at the Presbyterian Church of the Big Wood, in Sun Valley. 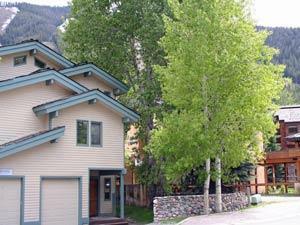 ResortQuest offers a number of Sun Valley lodging packages for this special weekend. International tenors Dennis McNeil, Jorge Lopez-Yanez and Jose Medina have thrilled audiences from Los Angeles to Slovenia and Cancun to Rome. But guests don't have to go to Rome or even New York to see the Three Tenors. They can see them in beautiful Sun Valley, Idaho. Where else can you get exposed to culture and the great outdoors within a few minutes? On June 30th and July 1st, 2007 the dynamic trio will be performing at 8 pm each night at the Presbyterian Church of the Big Wood. A Diva Party will be held June 29th at a private residence in Sun Valley for $100 and a private dinner with the Three Tenors. Before the concert guests can't miss dinner at any of the sponsoring restaurants and receive a complimentary glass of wine. These partners are Baci Italian Café, Ciro, East Avenue Bistro, Felix's Hillside Restaurant and Rico's Pizza and Pasta. ResortQuest, one of the nation's leading vacation rental management and resort real estate companies, provides a one-stop resource for North America's premier resort destinations, ResortQuest.com. ResortQuest is the largest marketer and management company of vacation condominiums and leading vacation rentals in the U.S. and Canada, based on a portfolio of nearly 17,000 properties, with a combined real estate value estimated at approximately $7 billion. ResortQuest Real Estate is one of the nation's leading real estate companies, focusing exclusively on resort properties, offering superior brokerage services in the country's premier beach, ski and golf destinations. ResortQuest employs more than 4,000 people and is owned and operated by Gaylord Entertainment Co. (NYSE: GET), one of the largest and fastest growing companies in the hospitality and entertainment industries, based in Nashville, Tenn., that also owns and operates Gaylord Hotels and the Grand Ole Opry. For more information, visit ResortQuest.com or GaylordEntertainment.com. 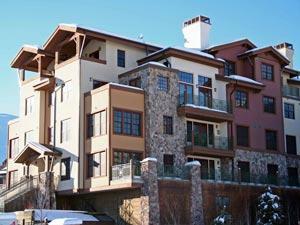 ResortQuest at Elkhorn Springs Terrace in Sun Valley, IdahoThis newly constructed Elkhorn Springs Terrace Penthouse is in the heart of the Elkhorn Village. This Penthouse has two levels and features the most sought after combination of furnishings, location, views and amenities. This designer property has wonderful furnishings, two complete master suites and immaculate attention to detail. ResortQuest at Aspenwood Townhomes in Sun Valley, IdahoThis ground level entry tri-level, town home sits in the very heart of Warm Springs with the ski lifts about one block away. This unit has had a complete remodel in the Fall of 2006 to include new carpet, stone tile flooring, stainless appliances, new furniture, accented paint and new tile.